This is a die-cut Campbell’s Tomato Soup porcelain sign. 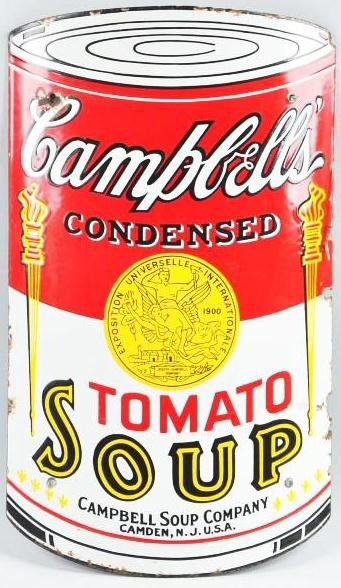 This particular Campbell’s Tomato Soup sign is designed like an actual Campbell’s Soup can. It reads, “Campbell’s Condensed Tomato Soup, Campbell Soup Company, Camden, NJ, USA”.